Estate Planning and Divorce - Keystone Elder Law P.C. A common issue which arises involves a single person wanting to update his/her Estate Planning documents. He/She wants to update a Last Will and Testament (“Will”) because of a recent divorce. After someone updates the Will to exclude an ex-spouse, a common belief is that planning is complete; which is not necessarily the case. Many questions come to mind regarding this issue: What happens if someone gets divorced and dies before updating the Will? What happens if an individual passes away with a Will which disinherits the ex-spouse, but he or she forgot to remove the ex-spouse as the beneficiary of a life insurance policy? In the alternative, what happens if an individual gets divorced, but wants the ex-spouse to remain a beneficiary of a Will or life insurance policy? The United States Supreme Court decided this exact issue a few months ago. In the event an individual gets divorced or dies during the course of divorce proceedings where grounds have been established, then the spouse will be removed from the Will per Pennsylvania law unless the instrument indicates otherwise. A Will only controls assets which are titled in one individual’s name alone and do not have a beneficiary designated on them (known as probate assets). Thus, if an individual updates the Will to remove an ex-spouse, that update does not change the beneficiary designation on a retirement plan or life insurance policy (non-probate assets). However, Pennsylvania law states that if a spouse is named as beneficiary of an individual’s non-probate assets, and at the time of the individual’s death he or she is divorced from the spouse or dies during the course of divorce proceedings (where no decree of divorce has been entered and grounds have been established); then any designation naming the ex-spouse will become ineffective and will be treated as if the ex-spouse predeceased the individual. What if it was your intent to still include your ex-spouse as the beneficiary of your non-probate assets? The revocation of the ex-spouse designated as beneficiary will not occur if any of the following conditions are present: (1) it appears the designation of the ex-spouse was intended to survive the divorce based on the wording of the designation; (2) a court order exists which directs that the ex-spouse remain a beneficiary; (3) a written contract exists between the individual and the spouse or former spouse; (4) or the designation of the former spouse as a beneficiary occurred after the divorce decree had been issued. Laws which override a contract and are similar to Pennsylvania’s law have recently been upheld by the U.S. Supreme Court. It is also important to consider how a Financial Power of Attorney, Health Care Power of Attorney, and Living Will are affected by divorce. As for these documents, according to Pennsylvania law if a spouse is named as an individual’s health care or financial power of attorney agent and thereafter an action for divorce is filed, the spouse shall be removed as health care and financial power of attorney agent unless it clearly appears in those documents that the designation of the spouse as an agent shall continue to be effective notwithstanding the divorce filing. It is very important to make sure your wishes are updated and clear. 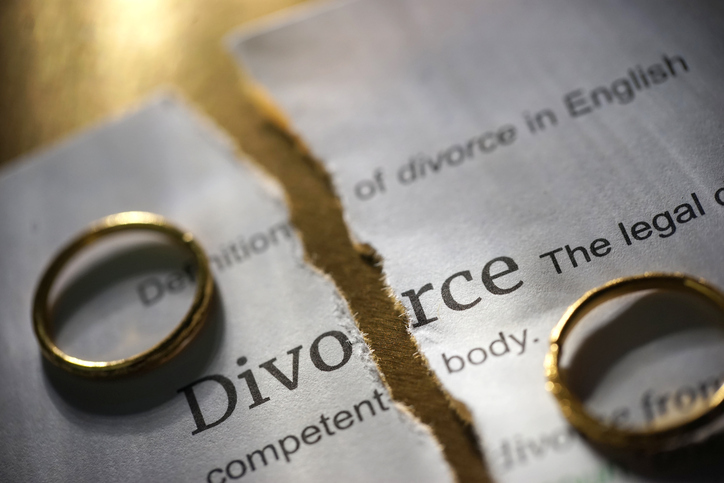 The law presumes that if you get divorced or an action is pending and grounds have been established, then you do not want your former spouse to be a beneficiary or help you anymore. If you still want your former spouse to assist you and benefit from your assets, then you need to make that clear in the various instruments and designations.